Alex Reid produces cheese in the heart of Royal Deeside using traditional cheddaring, pressing and maturing techniques unique to the region. The Lairig Ghru, named after the famous mountain pass through the Grampian Mountains, is one of his distinctive cheeses. Alex’s family has a long tradition of cheese-making. Recipes have been handed down from generation to generation. Alex’s mother, Barbara, has continued the tradition and has given Alex the ability to make the best Scottish cheeses. Alex no longer does this in the family farmhouse but has created a state of the art creamery on the banks of the river Dee. Royal Deeside is an inspirational place to make cheese. Every day spent at the creamery, Alex works to bring the quality of flavours and textures that he can remember Barbara creating. All his cheeses are hand-made using unpasteurised milk and then slowly matured. No cheese is released from the maturing room until it meets the exacting criteria Alex sets to ensure the taste of the farmhouse is still there. Lairig Ghru is a really distinctive cheese. It’s pressed for longer and has a salt rubbed rind. This creates a moist, crumbly, hard cheese with a pleasant citrus tang and a full finish. The cheese has a real depth of character just like the mountain pass it takes its name from. 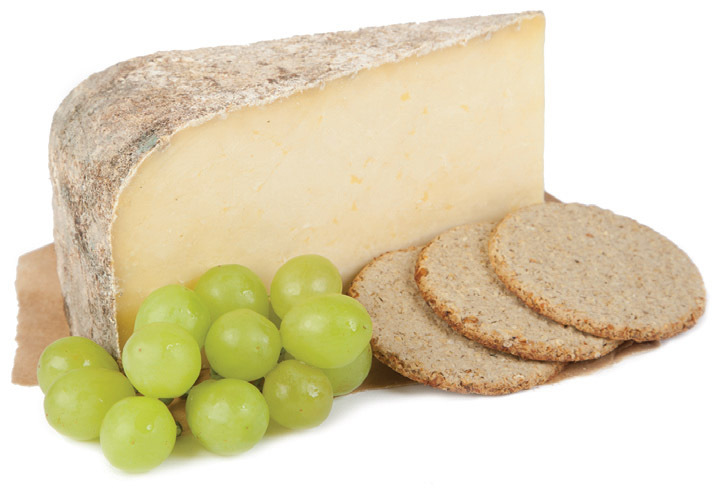 A moist, crumbly, hard cheese with a pleasant lemony tang and full finish. This cheese has real depth of character and a salted rind.